For years, the steady disappearance of ports from our computers has been unquestionably a bad thing for musicians. Things we used have been disappearing: Audio input jacks. Dedicated FireWire connections. Extra USB ports. And I’m not just talking Apple, here, either – slimmer and lighter PCs have often dumped connectors you needed, leaving us with a tangled mess of adapters and incompatibilities. Get a bunch of laptop owners together, and you’re lucky to connect anything without a Santa Claus-style bag of spaghetti. So, music and audio users can be forgiven to being resistant to change, because some of those changes have been a huge pain. That may make the next thing I’m about to say sound strange. Everything we use is about to be replaced with USB-C connectors, the new reversible ports designed as successor to USB. You’ll buy a laptop, and one or two of these things will be all you get for connecting everything. First, forget The New MacBook. Apple’s laptop is ground-breaking industrial design, but I still wouldn’t buy one. 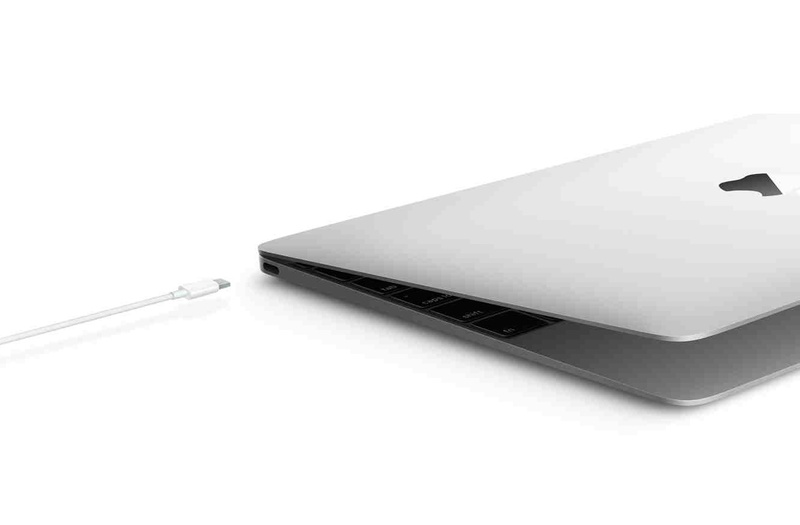 It’s too soon to commit to a laptop that only does USB-C, and this one isn’t a terribly good value-for-money proposition on performance, either, in comparison to Apple’s other models. But you can also forget Apple. Because while PC and Apple laptops have gone tended to directions in recent years (regarding display connections, Thunderbolt, and FireWire, for instance), USB-C and even Thunderbolt over USB-C are looking like they’ll be embraced by both sides. 1. 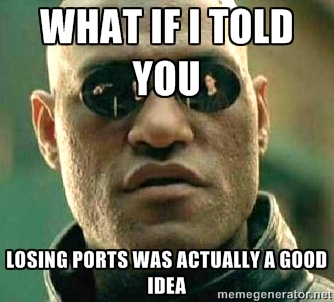 Fewer ports no longer means fewer connections. We’ve come to associate the number of physical jacks on the side of a machine with the amount of connectivity and bandwidth. That’s no longer the case: the architectures inside the machine have continued to expand in capability rapidly. 2. One port can actually handle everything. Now, the connector and the transports running on it (USB 3.1, Thunderbolt) can keep up with the ever-faster machine inside. 3. We’ll give up and just start using hubs and actually like it. We were caught in a weird gap between the time when ports started disappearing and hubs became standard – so you had sort of but not quite the number of connections you needed for serious work. Displays, video output (for VJs), audio I/O, storage, and all-important power were left in weird configurations. Now, I think we’ll see a cottage industry in pro-grade hubs that do what we need. 4. USB-C can succeed without Thunderbolt failing. Now, note that “USB-C” doesn’t have to mean USB – it’s just a physical connector. Intel has also embraced that same USB-C connector for Thunderbolt. It’s likely to cause some confusion and tech support issues, as people plug Thunderbolt accessories into computers that don’t support them. But on the other hand, Thunderbolt is showing nice signs of growth. Your existing Thunderbolt hardware will work with the new connector and transport (you’ll just need a proper cable or adapter). And the next Thunderbolt will be obscenely fast – 40 Gbps (mostly needed for 4k video). The Thunderbolt thing should come as relief, as this is showing real signs of promise for higher-performance, stable lower-latency audio, and already works brilliantly on hardware like Universal Audio’s. Companies like Apple may not be thinking of us when they keep Thunderbolt around, but the demand for 4K video means the format is safe (even though in audio, we’ll never use up that much bandwidth). Also good news from Thunderbolt 3: it carries power, so future Thunderbolt audio interfaces won’t need their own. What I would add to his analysis is that Thunderbolt is really important to video and audio, and is already seeing widespread use, even if the sorts of folks who read (and write) tech sites may take less notice of it. I don’t think we really have to worry about this much – or at all – for the time being. USB and Thunderbolt hardware you buy today for music and audio, for I/O, DSP, and storage, works just fine. And it’ll work with the new stuff, because USB 3.1 and Thunderbolt 3 are backwards compatible, and the USB-C connector you can contend with via cables and adapters. There is one thing that worries me a lot, though, and it’s that this one connector is too small. That raises real concerns for me onstage, in particular. It’s just too easy for a cable to pop out or fail to make a solid connection. Maybe someone can come up with an industrial design solution that works around that; it’s advantageous having things be small, but only if they can be connected reliably. And certainly I hope that accessory manufacturers think through what happens when their device is unplugged and replugged. Software and drivers need to respond fluidly, not trainwreck. I think if you do put these two areas on balance, though, there’s no reason to lose any sleep. And knowing that this is the future facing PC and Mac laptops, there’s time to actually adapt to the bizarro universe and make things work properly.